In January of 2012, I met a man who would forever change the way I viewed partnerships. About three months after we met, I asked him to accompany me to India where I would be assisting a yoga teacher training course. I got pregnant on that trip but didn't realize until late summer. Our relationship soon became a living nightmare, and at least once a week I asked him to leave my home. He proclaimed his love for me and had very clever excuses for his actions. I can't begin to tell you how much I wanted to believe him and hoped things would get better. As the pregnancy progressed, I grew weak and more dependent on him. He grew more distant and apathetic to me and our relationship. I felt unattractive, scared, and spent most nights alone. I had zero reference point for how to handle the manipulation, lies, and sense of betrayal I felt. He finally left when our baby was 6 months old in the fall of 2013. He then admitted he had been cheating on me with multiple women the whole time and knew he never wanted to be in a monogamous relationship. For two years after this, I went into deep introspection with a lot of crying involved. I was devastated and felt like a complete failure. I knew that the only way out of the pain was to go into the mystery of my own consciousness. This led me to the study of Shamanism, Shamanic Astrology, and Energy Healing. Although it was probably the most challenging life experience I have ever been through, the benefits I found through seeking relief have been nothing short of miracles in my life. One of those miracles, I will share with you here. According to Shamanic Astrology, we have an "inner other" which I call my inner lover. For a woman, we would look at where Venus is on her natal chart to find out the form of the Feminine she embodies. My Venus is in Aquarius which is the type of feminine who is cosmically conscious, intelligent, brilliant, and has a big-picture perspective on life. Some "shadow" expressions of this sign are detachment, aloofness, and observing more than participating in life. Then, to find out what she is most attracted to in a man, we would look at where Mars is on her chart. This is her inner masculine or what she most desires to connect with in a partner. This is also where we most often project our own inner vision onto the men in our lives and see them through our desire for what we most want them to be instead of accepting them for who they actually are. My Mars is in Pisces, which would suggest that I am attracted to the sensitive, empathic, universally loving Piscean energy in a partner. Some "shadow" expressions of this could be escapism, addictions, and the wounded man who doesn't overcome his pain. If you are a man, you would look first to Mars to discover what form of the masculine you are representing. My teachers, Caylin Castell and Daniel Giamario, call this the "sword you carry" as a man. So if your Mars is in Aries, you would be the warrior, protector of the tribe, action-oriented type of man. Remember to take into account the possible shadow expressions of your Mars position. For Aries, this may be violent, mean, or too much action. Then, to find what form of the feminine you most desire to connect with, you would locate Venus on your natal chart. This is your inner feminine, in essence, it is also you. Yet, you likely project this out onto the women in your life by seeing women through the "lens" of your own inner feminine. If your Venus is in Leo, you most wish to connect with the form of the feminine that is self-loving, radiant, and happy to be in the spotlight like royalty. Some shadow expressions of Leo may be the proverbial ball hog, attention seeker, or narcissist type of woman. The key here is to own both archetypes, if it feels right for you. In my experience, I realized that I was indeed most attracted to my Mars archetype and was often disappointed when my partner was not as universally loving/compassionate as I believed he "should" be. I really didn't like my Venus archetype, either. I was mostly teased for my Aquarian Venus attributes and spent most of my life trying to fit in, which is something that Venus in Aquarius is just not meant to do. Once I was able to see the pattern and understand my attractions, I began feeding my Mars in Pisces with activities that served the Pisces archetype. I have been able to nurture my inner lover from the inside by getting to know what things honor my Mars in Pisces. Some of these things have been practicing intuition and empathy, being in nature, and doing more random acts of kindness. I satisfy my inner longing and no longer attract men that fit my usual pattern. I feel whole and complete within myself, and I am experiencing men from a whole new perspective. Of course, when meet a new man, I do notice traits that support my inner masculine archetype first. I realize that this may always be what I am most attracted to. But it no longer is a fulfillment thing. I am conscious of the pattern and know how to get my own needs met on this level. To calculate your own birth chart for free, you can use this website link. This will help you identify your Venus and Mars positions. Once you have identified where Mars and Venus are on your own natal chart, you would hold the vision or awareness of each of these archetypes and find out if this resonates with you. If it does not, you can do one of two things right now: 1) Get out a sheet of paper and a pen. Write out a list of all the attributes you can assign to your current perception of men and then a separate list for women. See if there is any connection to your Venus and Mars. If you are unsure of the archetypes, you can use the internet for a bit of research. 2) Get out a pen and paper and free write about your current perception of men and then again of women. Claim your inner masculine and inner feminine based off of what you intuitively feel. The idea is to bring these two facets into harmonious relationship within yourself. I have recognized the ways in which I was projecting my inner masculine out and learned how to own this as part of me. I have also reclaimed my feminine form as the Aquarian Goddess and more fully embrace my uniqueness, innovation, and ability to go between different states of consciousness. My inner lovers are constantly dancing together and assisting in everything I create. Words do not express the bliss I have found in this Inner Lover Connection. Have a notebook and a pen ready in case you want to take notes. Get into a meditative state of mind, or however it is that you feel most meditative -- whether that is gardening, sitting for meditation, dirt-bike racing, or dancing. Everyone has a unique way of connecting to their source so go with whatever feels right for you. Imagine what your own inner Goddess/Feminine would look like. 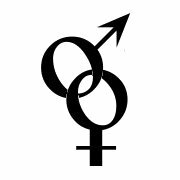 If the sign of your Venus position resonates with you, use that archetype to start to feel into her essence. Bring her to life through your imagination. Ask her what it is she most wants: "How can I best accommodate your wishes and desires?" Or any question you would like to ask. Deeply listen. Accept the first things that come to you. Write them down. Imagine what your own inner God/Masculine would look like. If the sign of your Mars position resonates with you, use that archetype to feel into his essence. Bring him to life through your imagination. Ask him similar questions that you asked your inner Goddess/Feminine. Perhaps you will ask him, "Is there anything you want me to know? How can I better honor you in my life?" Have the inner Goddess/Feminine and inner God/Masculine face each other and look into each other's eyes. Ask them each if there is anything they need to say or do to heal, strengthen, or assist them in allowing more energy into their union. Be receptive to what may come up. Feel the love and acceptance flowing between your inner lovers as a sense of gratitude washes over you. Notice any feelings or sensations that may be rising in your awareness. Give thanks for the ability to feel, connect, and witness pure love. Take time everyday to honor this sacred marriage between your inner feminine and inner masculine through doing things that are unique to your own archetypes. You will know what activities are best to honor these within yourself as you practice being receptive to this exercise and then acting on the message you receive from your inner lovers. There is much more refined information to get in touch with your unique "Relationship Material" from the Shamanic Astrology perspective. You can book a personal reading here. I only need your birthdate, birth time (as exact as possible) and the city in which you were born. I will record a live reading and email you a video link. You can also learn more by going to my teacher's school site.